Here’s another exciting and thrilling Ben 10 Ultimate Alien Game for all of you. It’s Hero Time as Ben is all set to rescue alien friends from the Evil Aggregor. Ben 10 Ultimate Alien Rescue game starts when Five Aliens from the Andromeda Galaxy are escaping Aggregor but an unexpected explosion hit their spaceship. They are forced to crash land on Earth. On Earth, they meet Ben Tennyson and ask for help. Ben 10 calls Plumbers to help. With new spaceship and a Plumber as a pilot, Aliens thought they are on their way back home. But that’s not the case. Ben 10 gets a message from Plumbers that one of their ships has been stolen and he realizes that Aggregor has captured his aliens again. Ben races off to track the stolen Plumber Ship and discovers the Aggregor’s Space Cruiser. That’s where Ben 10 turns into Ultimate Swampfire fights Aggregor’s men to rescue the aliens from his cruiser. Play as Ben 10 Ultimate Swampfire to kill all the enemies and destroy all the cannons. There are two types of enemies, one stronger than the other. And the cannons fire non-stop in your direction. Using Ultimate Swampfire power, you can attack the enemies and find the path to rescue all the five aliens from the Aggregor’s Cruise Ship. Remember, every time to get hit by cannon or the enemy, you will loose health. But this Ben 10 Ultimate Alien Rescue game has checkpoints, where you can regain the health of your Ultimate Alien. Rescue all five Aliens to win this game! Good Luck! 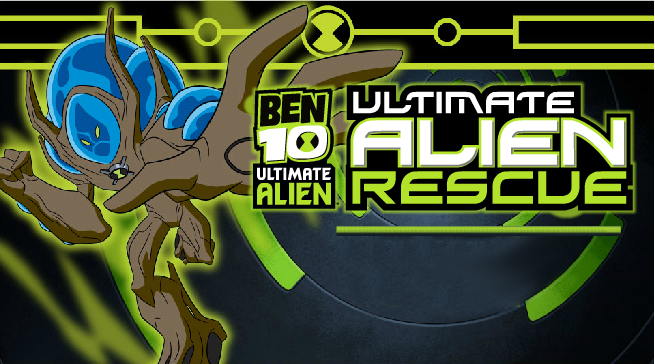 Don’t Forget to give your rating for Ben 10 Ultimate Alien Rescue Game and share your tips and tricks to win this game in the comments section below.